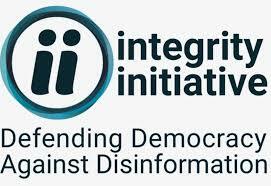 Integrity Initiative featuring a startling account of the techniques deployed by the anti-Russian British operation to infiltrate American intelligence institutions, think tanks and media. meetings that Integrity Initiative Director Chris Donnelly (pictured) had with former Trump Advisor Sebastien Gorka, McCain Foundation director Kurt Volker, Pentagon PR guru John Rendon among many others. The exposure of the British hand behind the scenes affords us a unique glimpse into the real historical forces undermining America’s true constitutional tradition throughout the 20thcentury, as Mueller/the Five Eyes/Integrity Initiative are not new phenomena but actually follow a modus operandi set down for already more than a century. One of the biggest obstacles to seeing this modus operandi run by the British Empire is located in the belief in a mythology which has become embedded in the global psyche for over half a century and which we should do our best to free ourselves of. While there has been a long-standing narrative promoted for over 70 years that the British Empire disappeared after World War II, having been replaced by the “American Empire”, it is the furthest thing from the truth. America’s greatest presidents (who can unfortunately be identified by their early deaths while serving in office) were never colonialist and were always in favor of reining in British Institutions at home while fighting British colonial thinking abroad. 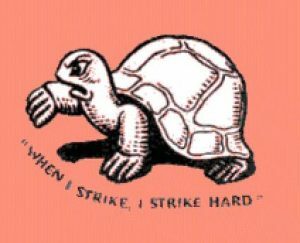 The fact is that already in 1944, a policy of Anglo-Saxon imperialism had been promoted subversively by British-run think tanks known as the Round Table Movement and Fabian Society (see their logo pictured), and the seeds had already been laid for the anti-Russian cold war by those British-run American fascists. It is not a coincidence that this fascist Cold War policy was announced in a March 5, 1946 speech in Fulton, Missouri by none other than Round Table-follower Winston Churchill. With the help of an anglophile, racist president in America, leading figures organizing these think tanks first advanced a program to create a “League of Nations” as the solution to the “nationalist problem” which humanity was told “caused” World War One. Nationalist forces in America rejected the idea that the constitution should be rendered obsolete and the plan for global governance failed. However, that did not stop the Round Table Movement from trying again. 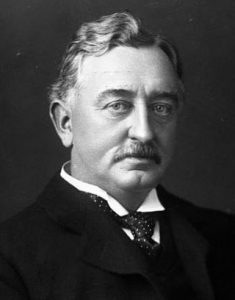 Leading Round Table controller Lord Lothian (British Ambassador to the USA) complained of the “American problem” in 1918. They take an attitude towards the problem of world government exactly analogous to the one they [earlier] took toward the problem of the world war. If they are slow in learning, we shall be condemned to a period of strained relations between the various parts of the English-speaking world. [We must] get into the heads of Canadians and Americans that a share in the burden of world government is just as great and glorious a responsibility as participation in the war”. A Chinese leader of the American-inspired republican revolution of 1911 named Sun Yat-Sen warned of the likes of Lord Lothian and the League of Nations in 1924 when he said, “The nations which are employing imperialism to conquer others and which are trying to maintain their own favored positions as sovereign lords of the whole world are advocating cosmopolitanism [aka: global governance/globalization -ed] and want the world to join them… Nationalism is that precious possession by which humanity maintains its existence. If nationalism decays, then when cosmopolitanism flourishes we will be unable to survive and will be eliminated”. It is this dystopic geopolitical order which has been challenged by the Russia-China alliance which arose in earnest with Xi Jinping’s 2013 announcement of the Belt and Road Initiative as the Grand design for large scale infrastructure projects internationally, and in September 2015 with Vladimir Putin’s intervention into Syria, which defeated the Hobbesian regime change paradigm which poisoned the west. In 2016, the election of nationalist American President Donald Trump opened the door for the first time in over 50 years to a true national coalition of sovereign nations to eliminate the cancer of colonial thinking forever from the earth. 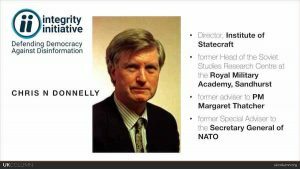 It is this same British-run deep state which owns Robert Mueller, who along with the Integrity Initiative, Five Eyes and other Deep State operatives are dedicated to overthrowing President Trump from office and undoing the great potential now facing the world as outlined by the Schiller Institute and American statesman Lyndon LaRouche: 1) an FDR-style re-organization of the bankrupt banking system, and 2) the unleashing of a global New Silk Road as the New Deal of the 21st Century. Bigger than that Robert… would you believe Global Empire? “Follow the Money” was never more true! Kissinger, like Rahm Emanuel, is a Rothschild agent, and considering that the Rothschild’s gained control of British “purse strings” in the early 1800’s, i’d say, Rothschild has since become, in effect, ‘the British Empire’.